Brendan Clarke; Ger O’Brien (Conor McCormack, 81), Sean Hoare, Kenny Browne, Ian Bermingham; Conan Byrne, Keith Fahey, James Chambers (Sam Verdon, 88), Lee Lynch, Christopher Forrester; Christy Fagan (Daryl Kavanagh, 87). Lee Murphy; Derek Pender, Roberto Lopes, Aidan Price, Darragh Reynor; Keith Buckley (Paddy Kavanagh, 78), Dave Mulcahy, Craig Walsh (Steven Beattie, 62), Ryan McEvoy, Andy Mulligan (Karl Moore, 46); Jason Byrne. 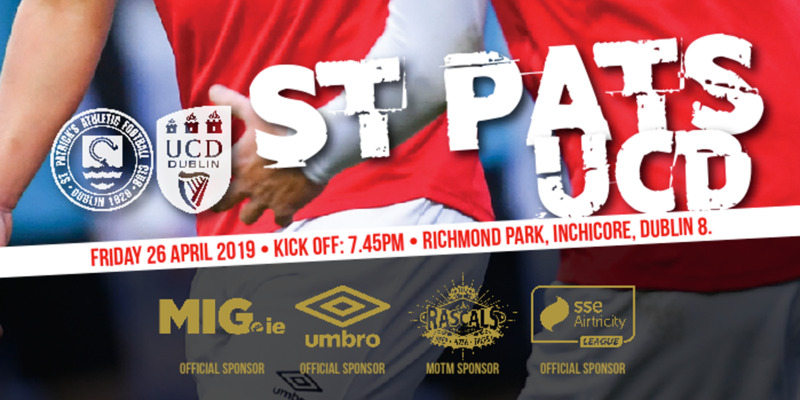 St Patrick's Athletic recovered from a disappointing opening quarter to comfortably account for Dublin rivals Bohemians by 3-1 in their SSE Airtricity League Premier Division encounter at Richmond Park. 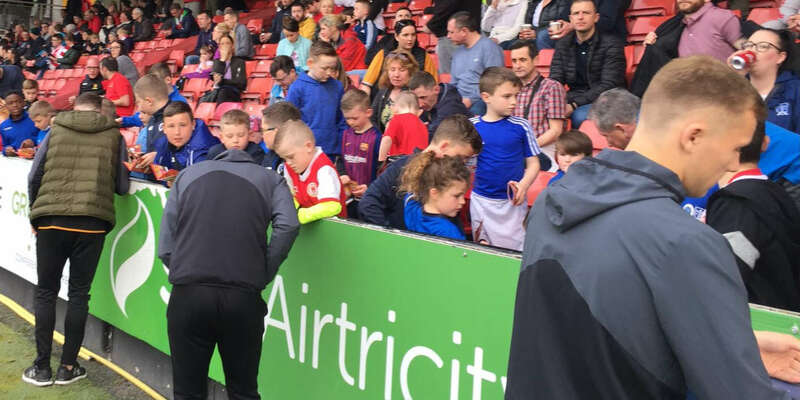 Jason Byrne's superb goal in the 23rd minute handed Bohemians the early initiative but Christy Fagan restored parity for the Saints within four minutes following a slip by Aidan Price. Fagan added his second of the night in the 65th minute and the points were confirmed for the hosts in the 77th minute through a glorious solo goal from Christopher Forrester. There was a vibrant start to the encounter with both sides having ambitious claims for penalty kicks inside the opening two minutes, but referee Graham Kelly dismissed the respective appeals of Fagan and Craig Walsh. A snap shot from Forrester aside, there was very little goal-mouth action to report with the Saints enjoying a degree of control without creating any opportunities of note. Keith Fahey was finding plenty of room in the home engine room but his passing lacked its customary accuracy as Bohemians initially defended their goal with a great degree of comfort. With their confidence increased, it was of scant surprise that the visitors took the lead midway through the half with a classic counter-attacking goal by Jason Byrne. 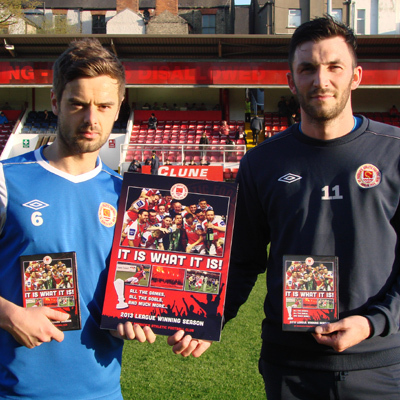 Walsh found space to run at a retreating St Pat's defence and with Brendan Clarke off his line, Byrne chipped an audacious attempt over the goalkeeper from twenty yards for his 210th league goal of an illustrious career. Crucially, the hosts hit back within four minutes with Bohemians architects of their own downfall as Aidan Price failed to deal adequately with Conan Byrne's low cross and Fagan was on hand to clinically fire across Lee Murphy from eight yards. 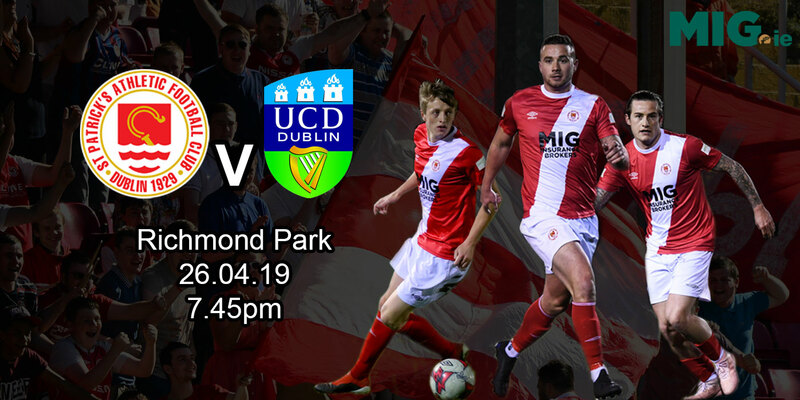 Conan Byrne was becoming increasingly influential as the half progressed with his sublime cross in the 33rd minute just failing to reach the in-rushing Fagan as the hosts looked to seize control of the encounter. After Murphy had denied Byrne at his near-post in the 36th minute, the Bohemians goalkeeper made an even better save two minutes later, diving to his right to deflect Fagan's header from Fahey's free-kick away to safety. With Byrne becoming increasingly isolated, the play was concentrated in the Bohs half with James Chambers curling a shot narrowly over Murphy's crossbar as the hosts searched a deserved interval lead. That pressure was maintained upon the restart with Murphy collecting at the second attempt in the 47th minute after Ian Bermingham had tried his luck from outside the area. The visitors finally began to offer a threat of their own and Price could have redeemed his earlier error but his header from Darragh Reynor's cross drifted harmlessly wide of Clarke's right-hand upright. However, the momentum was generally with the hosts and the lively Fagan was once again denied by Murphy in the 57th minute with the keeper getting the deftest of touches to divert Fagan's 22-yard shot onto the post. Athletic spurned an even greater chance seven minutes later as Forrester somehow contrived to crash over from three yards after Fagan and Byrne had combined intelligently down their right flank. That miss appeared academic within a minute with Byrne once again pivotal with a threatening low cross that caused havoc in the away defence. Fagan was on hand to fire gleefully home from eight yards. Far from looking to build on that advantage, the hosts retreated slightly and they should have been punished for their conservative approach when Byrne headed wastefully wide when meeting Reynor's sumptuous cross in the 72nd minute. The game was settled five minutes later when Forrester atoned for his earlier miss, embarking on a trademark jinking run that culminated in a composed finish past a horribly-exposed Murphy. The visitors battled bravely to gain a consolation score in the final ten minutes with Roberto Lopes unfortunate to see his powerful header from Reynor's corner-kick cannon off the crossbar five minutes from time.